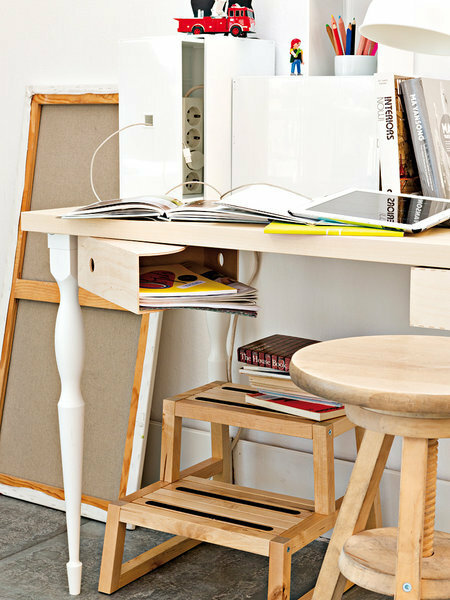 Give a personal touch to your desk and design the perfect small nook where you can work at home. 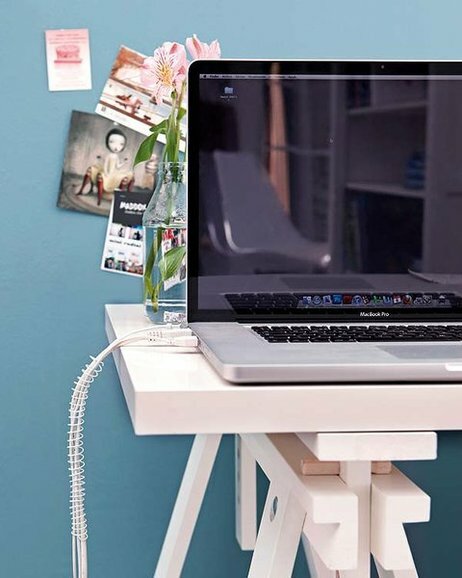 We are offering you some DIY home office organization ideas and clever solutions that you can find useful. 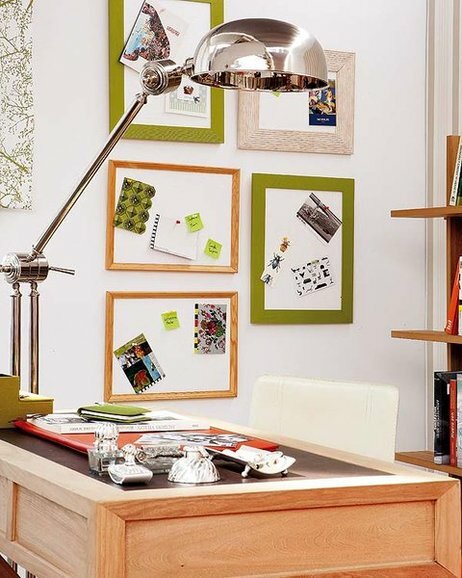 Turn your home office in a well organized and lovely decorated command center. 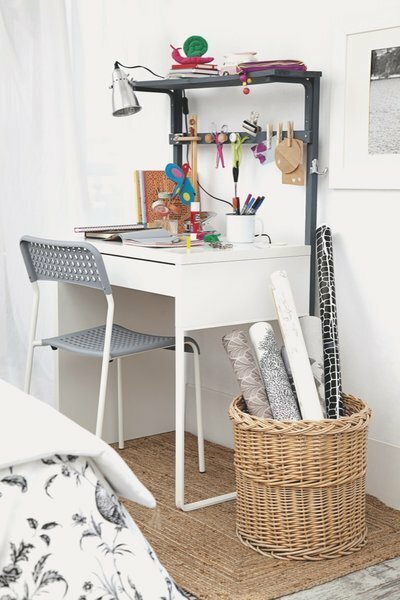 This small unit is an ally in order to keep the clips, notes or sewing kits uncluttered. 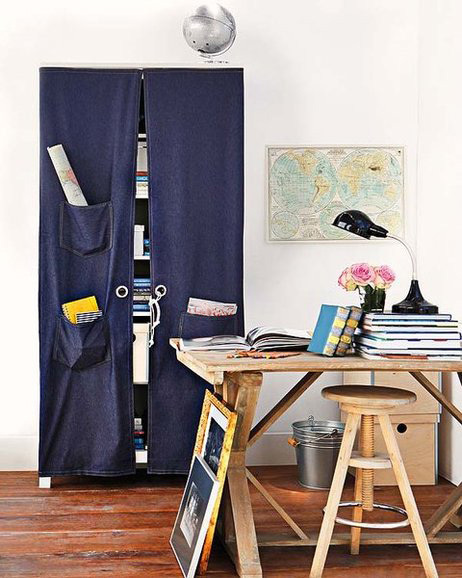 Just build a mini cupboard with drawers and pick an arrangement that best suits your needs. 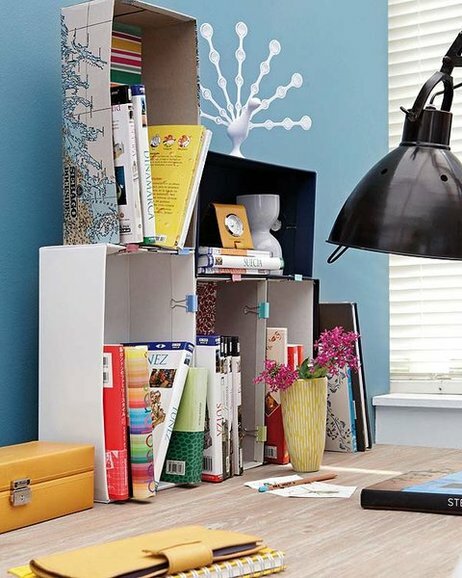 Refresh your memory with a corner where you have all your notes. Select multiple frames and trim Styrofoam sheets to fit in them. Play with color and layout the memory boards horizontally or vertically to create a harmonious composition. Countless wires around for the computer, printer, scanner … all over the floor, tangled and dusty. To avoid this chaos, attach them to the edge of the table with binder clips. 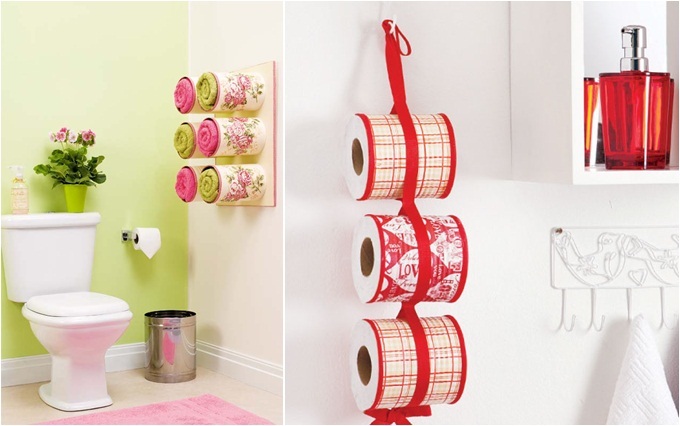 Have you wondered what to do with such a nice box that you don’t want to throw away? Now you have a good reason to keep it. 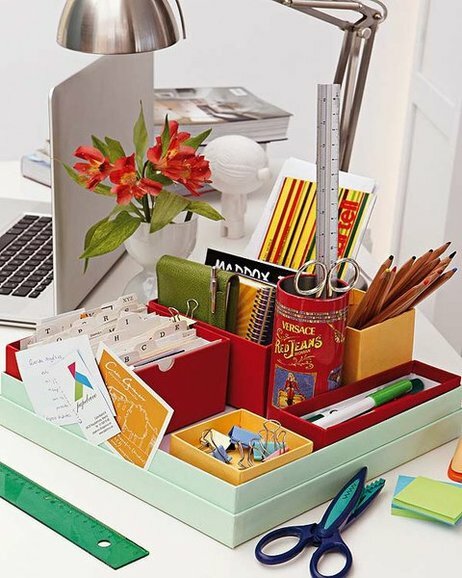 When you’ve gathered some smaller boxes place them within a larger and organize your desk properly. A quote, a symbolic name or the names of the authors who inspire you when writing. 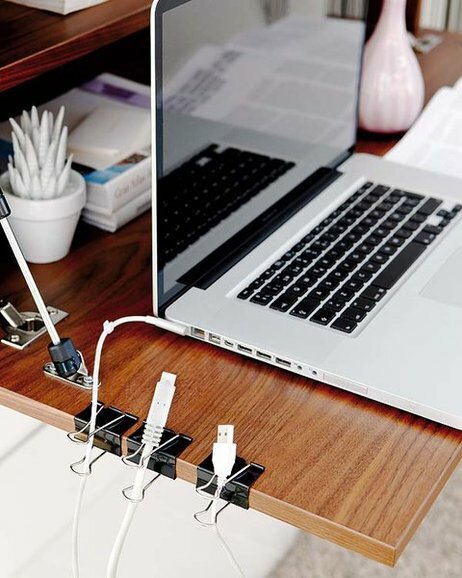 Decorate your desk with them. You’ll need a fine brush, acrylic paint and your artistic talents. Make a sketch, draw it on the surface with pencil and finally paint it with skill. For letters you can use templates. 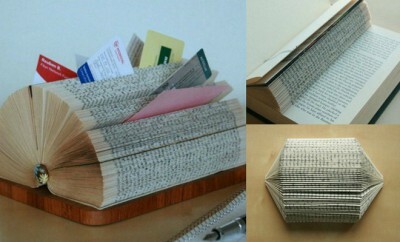 It is the solution for passionate readers who no longer know where to put their books. 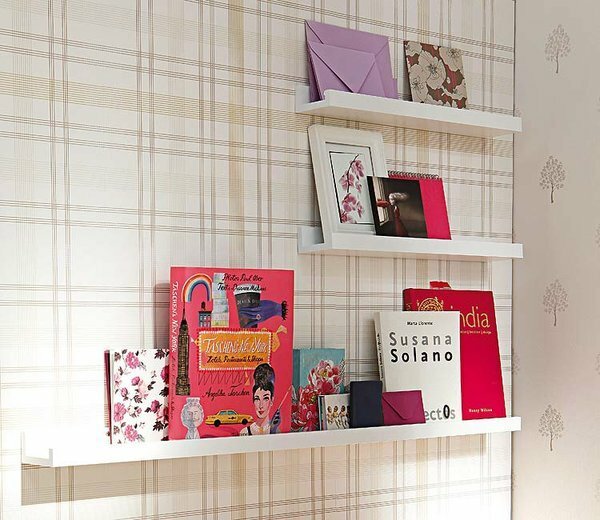 These shelves are only 9 cm deep, allowing installation on any wall area and a stop at the end that prevents the books from falling. The only condition is that the books must be placed to the front so you better appreciate the covers! And another tip for electrical wires. Beyond just an organizational issue, the risk of twisting each other is that the friction may peel and cause a short circuit. To avoid this, group them and pass them through an old notebook spiral. A shelving unit mounted without a single nail! It groups several shoe boxes of various sizes attached together with binder clips. 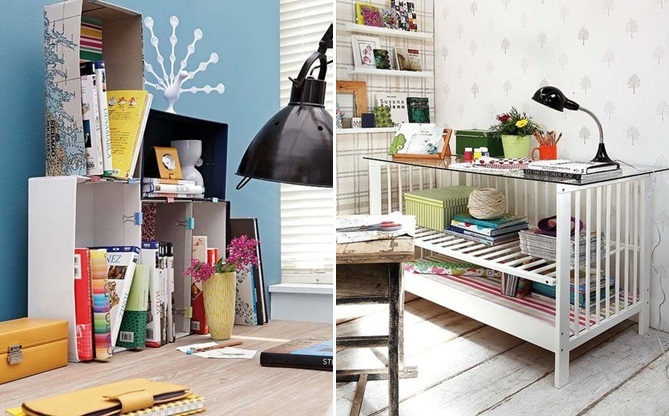 It becomes the perfect organizer for lightweight books and papers. Do you remember the mini you liked so much but no longer fits you? 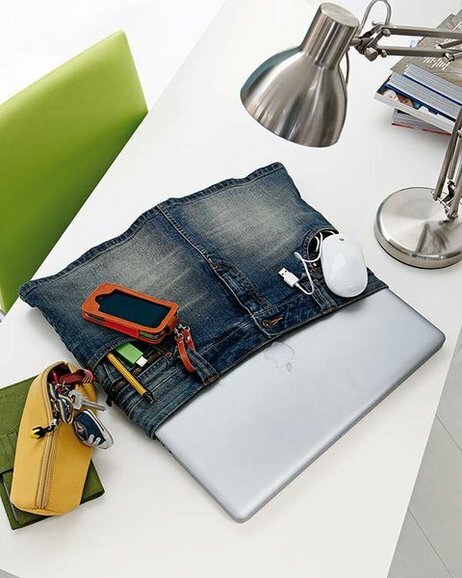 Then you can turn it into a practical laptop case, enjoying it daily. Just sew the bottom to close the skirt. And if you pass a colored ribbon through the loops of the waistband, you can adjust the top part. In the pockets you can keep the mouse and other tech accessories. Even without pictures in them, some frames speak for themselves. 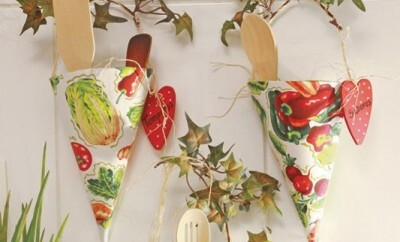 Create a composition on the wall with frame designs in different sizes and styles. 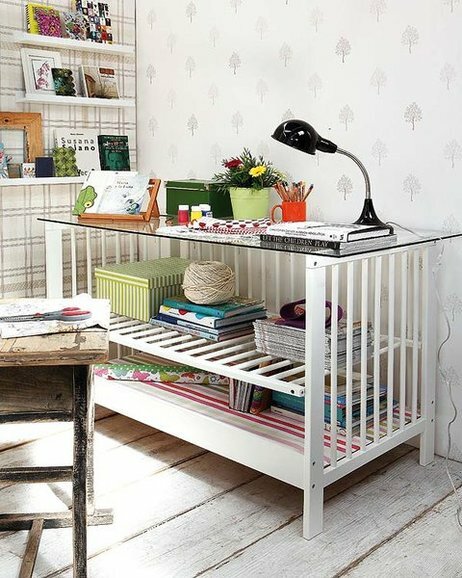 Reuse an old baby crib and turn it into a new desk for your home office. 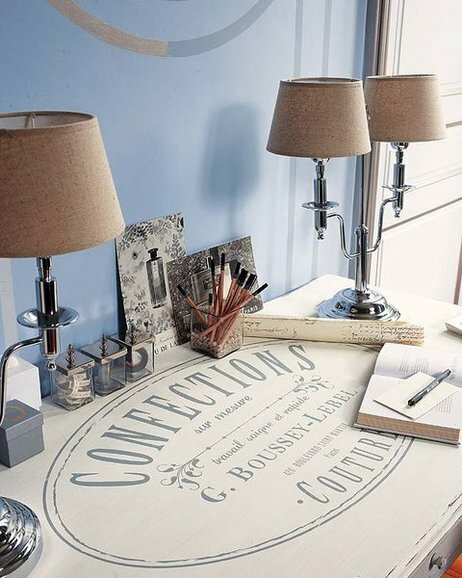 Cover the base of the bed with decorative paper, place one of the railings as a shelf and add a safety glass top. Sometimes it is better to hide the content of the shelves, either for aesthetic reasons or because it is difficult to keep them in order. Solve the problem with a curtain. These are made of denim and have pockets and washers for closing.